You might remember the story of Tonya Harding, the former American figure skater who, in 1994, became embroiled in one of the most famous sporting scandals of all time. A competitor, Nancy Kerrigan, was assaulted in the run-up to the Winter Olympics. The American media went nuts. Later, it was discovered that Harding’s husband, Jeff Gillooly, and his mate — Tonya’s bodyguard — had paid a bloke to injure Kerrigan. The lads received prison sentences — Harding was banned from skating for life. As Craig Gillespie’s sublime I, Tonya testifies, Harding got the raw end of the stick. I, Tonya isn’t like other sports biopics. It’s wild and unruly; playful and unreliable. It’s a lot funnier than perhaps it should be. A triumphant Margot Robbie assumes the role of Harding, the ‘white-trash’ skater whom various judges and superiors despised. But she was the best. Alas, Harding is caught between two monsters. One of them is her horrible mother (Allison Janney, getting all the best lines). The other is her gobshite husband (Sebastian Stan). Mum bruises with her words; husband, with his fists. It’s a vicious cycle. Eventually, we get around to “the incident”. Indeed, Steven Rogers delivers a blistering screenplay that, though a tad tricksy around the edges, gives us something to grab onto. Basically, an aged-up Robbie and Co give interviews as to how it all went down. A boisterous helping of rock ’n’ roll is added to the mix. Sometimes, the characters break the fourth wall so that they can contradict the events unfolding before our eyes. It flows better than it sounds. A deadly cast helps. We’ve never seen Sebastian Stan work this hard. Allison Janney will win an Oscar next week. Margot Robbie has never been better. 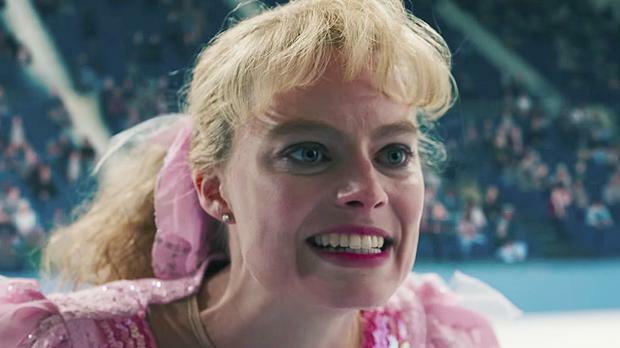 Comical, tragic and all kinds of messed up, I, Tonya plays by its own rules. Like Lady Bird, it’ll stand up to a second viewing. We might need one.